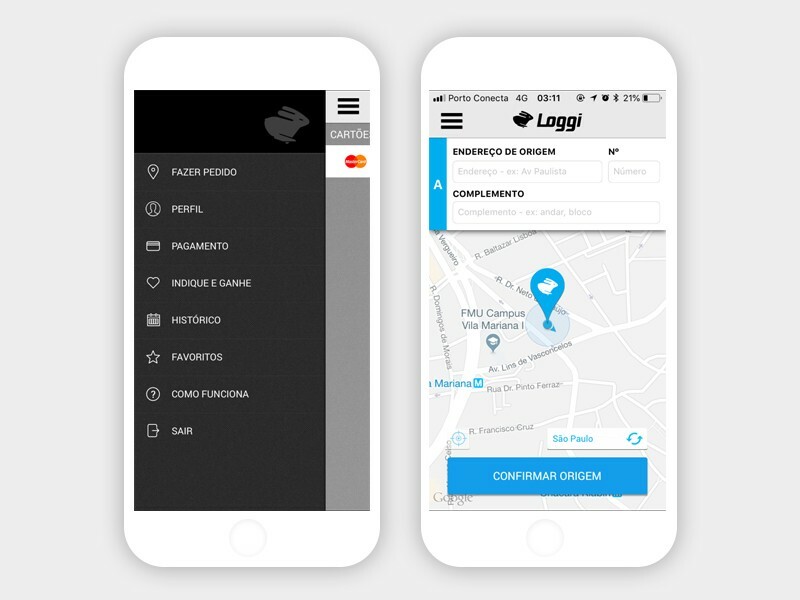 Loggi is a logistic solutions company that uses its own entry product which is Loggi’s app for couriers. Just like its service providers, the platform needs to be as nimble as. 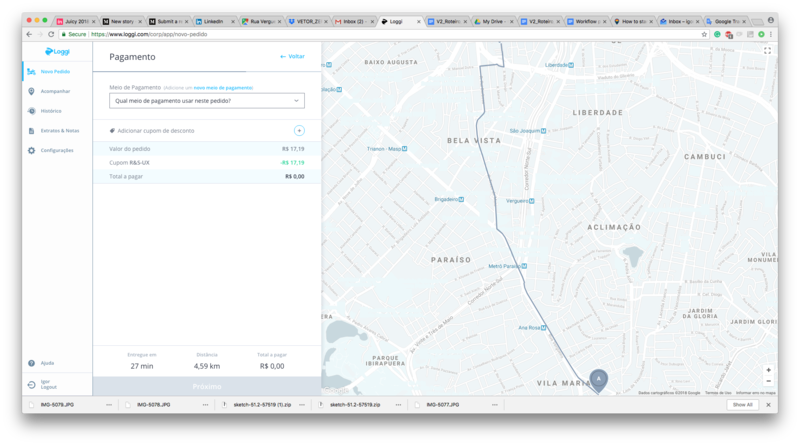 I received a request from Loggi’s UX department asking for the deficiencies of the tool, both mobile and web, to be proposed, and that improvements be made based on heuristic analysis, usability and ethnographic tests, and then propose improvement solutions. From a few previous surveys, I set up an observation script and went to the field with the app in hand and some vouchers available to propose to the interviewees and analyze how they behaved while using the application on a smartphone. Users experienced difficulties migrating from one platform to another because information was not unified on both platforms. Users who ran via the web were lost when they needed to apply the discount voucher. This field does not appear in the same location on both the mobile and web platforms. According to users, this difference made the app doubtful in terms of security and those who used the two platforms were afraid to run the request with the credit card data, since the information was different. Web menu is different than mobile menu as follow below. Leave the voucher field visible in the payment area of the order, thus allowing him to understand that there are other forms of payment and can go after this in a simple way, among many other things. During behavioral testing, because of the frequency with which users use another application, WhatsApp, a question has arisen about sharing the route with whom they will receive the order. Not being sure if it would indeed be a really useful tool and avoiding production costs without first testing it, we proposed an A/B test to see if that was pertinent. 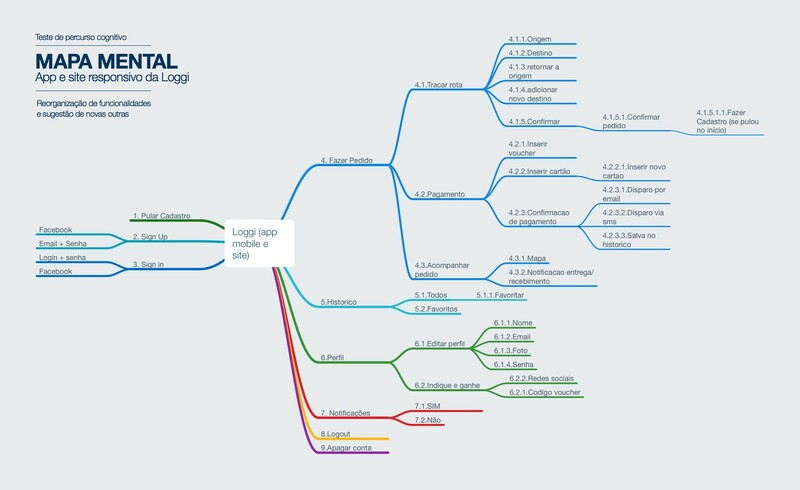 The results are being generated by Loggi so they can be shared with me. People deal very differently with web/app buying experiences. The proposal is to shorten the user’s journey and create a much more fluid experience where the user can perform tasks more safely and easily to the same extent that facilitates, for example, indexing on both platforms because they have the same information to process. Main screens for understanding the cognitive course. In addition to the new stream, I’ve suggested improvements in the user interface making the design more contemporary and inviting, allowing all new features and enhancements to be harmonized in the best possible way, bringing more visual comfort to the user. UX Designer, biker, skater and resident of the jungle of São Paulo. Can you imagine the boy's head? Just like SP, it does not stop. A little bit about me and my design process in a text format. I hope you enjoy.